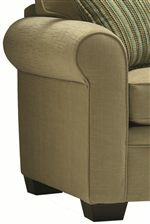 Creating a clean-cut style that can be made to coordinate with any room style, the mass appeal of this sofa will have homeowners elated in the ability to redesign their entire room, or keep it themed just just how it is. Crafted with a classic furniture frame that includes rounded arms, plush seat cushions and an exposed wood frame, this casual sofa will comfort family and guests while supplying a style that is easy to individualize. Coordinate this davenport with elegant shag pillows and a high-end, carved cocktail table for a lavish living room that evokes a high class presence. Looking for something a little more casual? Pair this couch with its large (un-pictured) ottoman and place some bright colored pillows and lamps at its sides for a casual look that is fresh and bright. No matter if you choose to dress it up or dress it down, this three person sofa will provide a cushioned comfort with an individualized design style. 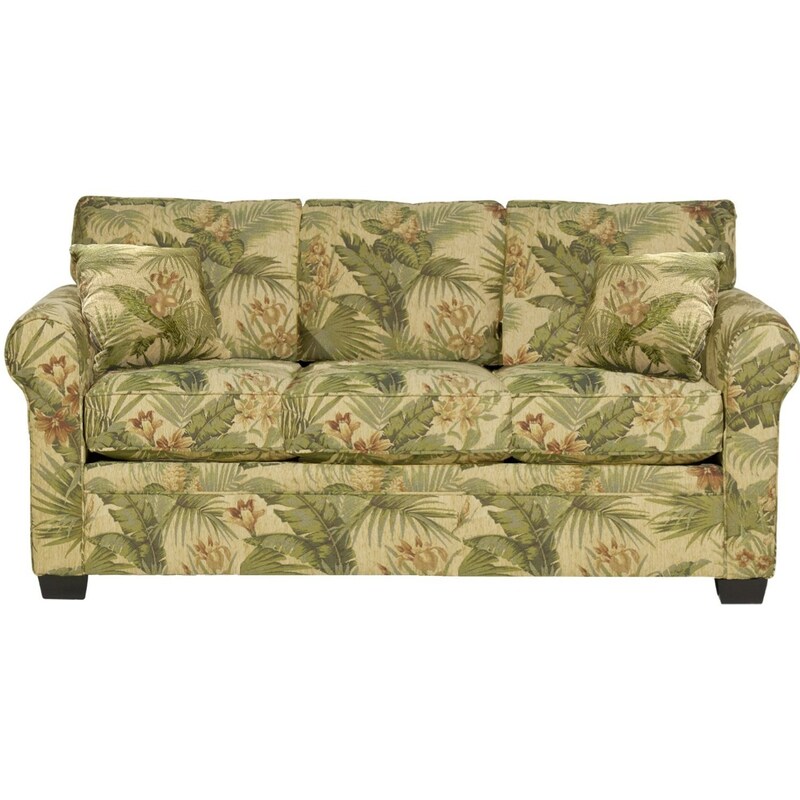 The Diaz Sofa at HomeWorld Furniture in the Hawaii, Oahu, Hilo, Kona, Maui area. Product availability may vary. Contact us for the most current availability on this product. This casual sofa collection will inspire home decoration through its mass appeal quality, allowing each piece in this collection to blend with an assortment of furniture trends and styles. Created in a classic frame format with rounded arms and exposed wood, block feet, this casual furniture collection will enlighten homeowners to the idea of design, allowing them to dress up their space with traditional furniture elegance or dress down their room with electronics, casual decoration or sports paraphernalia. For homeowners who are looking to keep their room the same and merely replace the furniture within it, this collection will create a coordianting ensemble that fits in perfectly. Designed to be versatile with a clean-cut look, this unique furniture collection is comprised of a sofa and sectional as well as many (un-pictured) living room furniture pieces including a loveseat, chair, ottoman, chair and a half, apartment sized sofa, multiple size sofa sleepers and an assortment of modular sectional components, perfect for creating the sectional that best fits a specific home's needs and shape. 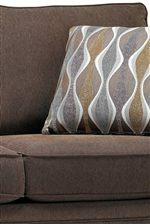 The Diaz collection is a great option if you are looking for Casual furniture in the Hawaii, Oahu, Hilo, Kona, Maui area. Browse other items in the Diaz collection from HomeWorld Furniture in the Hawaii, Oahu, Hilo, Kona, Maui area.